HOW TO USE: Read the Medication Guide and, if available, the Patient Information Leaflet provided by your pharmacist before you start taking lamotrigine and each time you get a refill. If you have any questions, ask your doctor or pharmacist. Take this medication by mouth with or without food as directed by your doctor. The chewable/dispersible tablets may be swallowed whole, chewed, or mixed in water or fruit juice. If the tablets are chewed, drink a small amount of water or juice to help you swallow all of the medication. To disperse the tablets, add your dose to a small amount of liquid (enough to cover the medication) in a glass or spoon. Wait 1 minute until the tablets are completely dissolved, stir, then drink the entire mixture right away. Use only whole tablets. Do not use partial tablets. Dosage is based on your medical condition, response to treatment, and use of certain interacting drugs. (See also Drug Interactions section.) For children, the dosage is also based on weight. It is very important to follow your doctor's dosing instructions exactly. The dose must be increased slowly. It may take several weeks or months to reach the best dose for you and to get the full benefit from this medication. Take this medication regularly in order to get the most benefit from it. To help you remember, take it at the same time(s) each day. Do not stop taking this medication without consulting your doctor. Some conditions may become worse when the drug is suddenly stopped. Your dose may need to be gradually decreased. 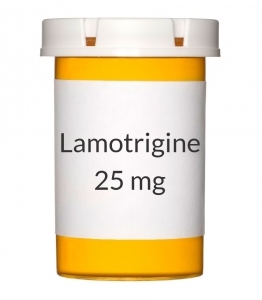 Also, if you have stopped taking this medication, do not restart lamotrigine without consulting your doctor. Tell your doctor if your condition does not improve or if it worsens.